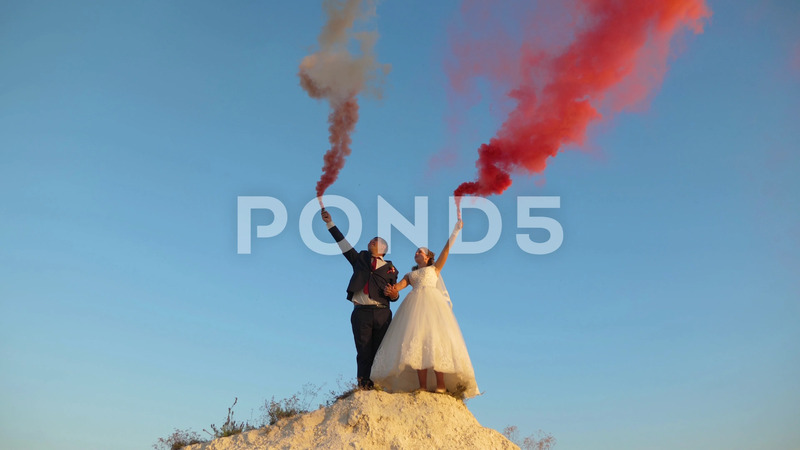 Description: Happy bride and groom waving colored pink smoke against blue sky and laughing. Honeymoon. Romance. Relationship between man and woman.